Elizabeth line train makes successful maiden voyage across south east London - Crossrail . For information about the Elizabeth line please visit the Transport for London website. 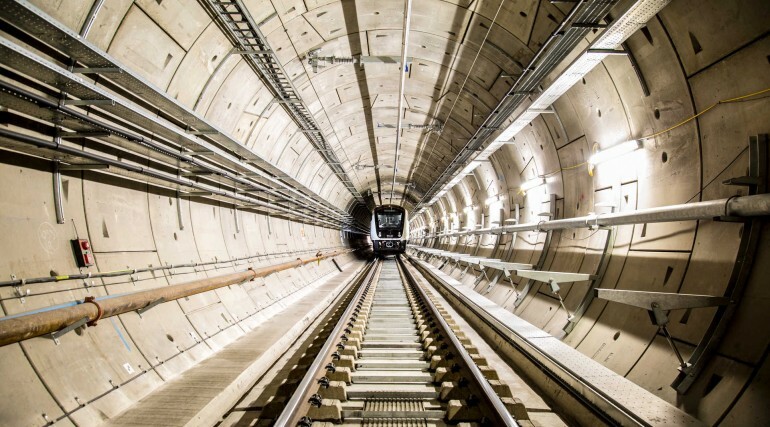 Crossrail Limited and Transport for London (TfL) have hailed a major milestone for Europe’s largest infrastructure project as the first new Elizabeth line train was tested in the brand new tunnels through London last night. 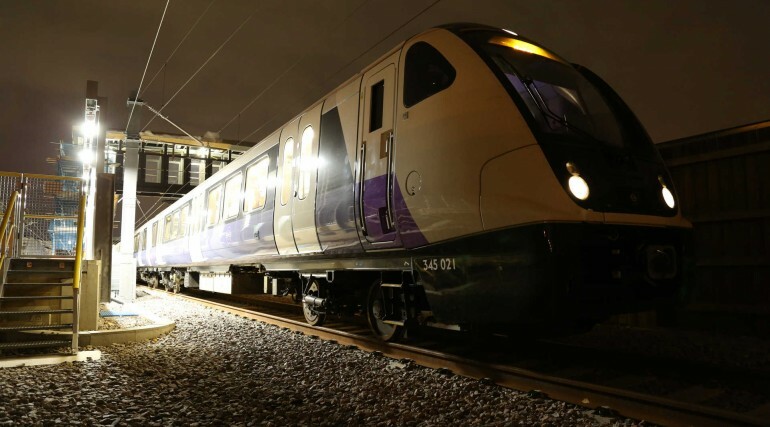 The new train – built by Bombardier engineers in Derby – was the first to be driven from Abbey Wood. It entered the new tunnels at Plumstead Portal and travelled under the Thames heading for Connaught Tunnel before returning to Abbey Wood station. The Elizabeth line is set to transform transport in London with quicker, easier and more accessible journeys when it launches in December. The first train to be driven in the tunnels comes as construction reaches its final stages. Rigorous testing of the railway and signalling infrastructure will now begin to ensure services are safe and reliable for the opening in 10 months’ time. This is the first of hundreds of test runs that will take place throughout the year. 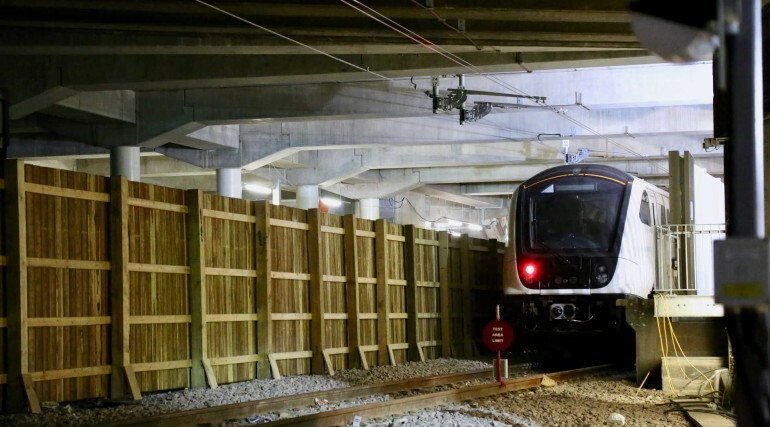 Andrew Wolstenholme, Chief Executive, Crossrail, said: “The start of infrastructure testing is a major milestone moment. It’s testament to the men and women who have, and continue to, work tirelessly on the project that we are now welcoming the first Elizabeth line train that’s powered by the new overhead lines, into the tunnels. “The Crossrail programme is now over 90% complete and this heralds the start of our works to bring together the new stations, track, power, signalling and trains ahead of the Elizabeth line opening in December." 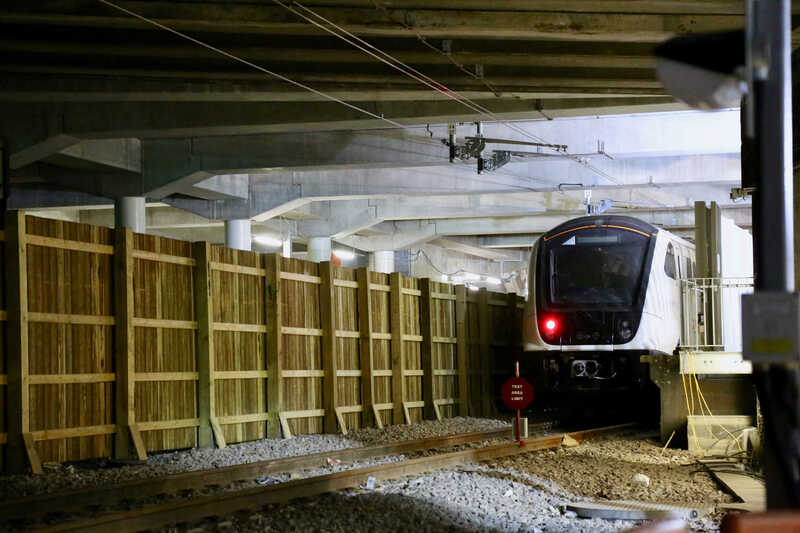 Howard Smith, Operations Director for the Elizabeth line, said: “This is a huge milestone for the project, nine years after construction first began. I’m thrilled to see the first train make its maiden voyage from Abbey Wood through the brand new tunnels. “Crucial testing is now underway to validate the safety and reliability of the Elizabeth line ahead of the launch. We look forward to welcoming customers onto our new railway this December, when their experience of travelling across London will be transformed for the better." 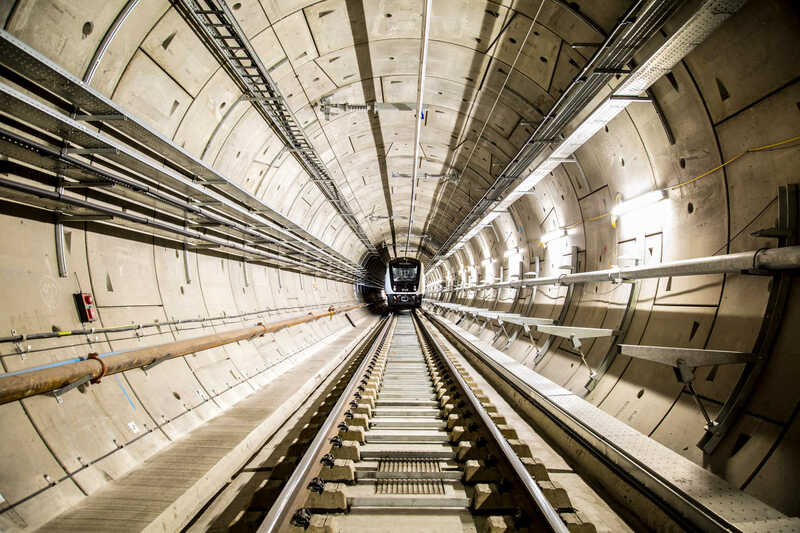 Rail Minister Jo Johnson, said: “The maiden journey of a brand new train through the Elizabeth line tunnels is a milestone moment in one of the most ambitious infrastructure projects ever undertaken in the UK. 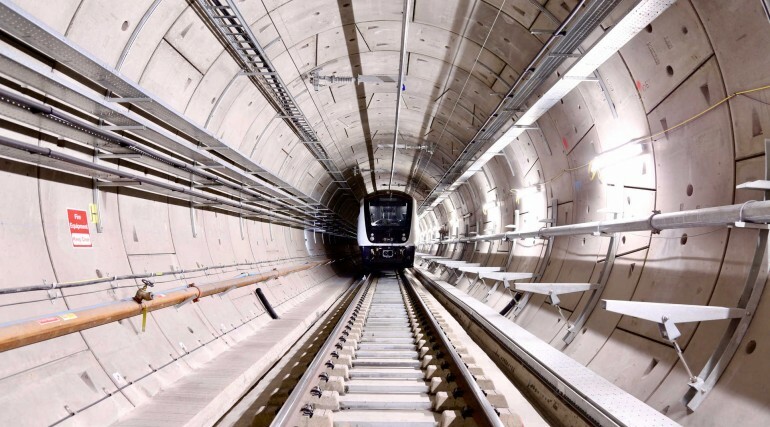 Earlier this month, Crossrail Limited successfully activated the 25kV overhead lines in a section of the tunnels beneath the streets of London, a landmark moment that ensured this first journey could take place. One train will initially be used for testing in the tunnels before more are gradually introduced. A significant amount of work continues to complete all stations on the route as well as bringing together the complicated interfaces between track, power, signalling and trains. The Elizabeth line is jointly sponsored by the Department for Transport (DfT) and TfL. When complete, London’s new railway will carry over 200 million passengers per year and will add 10 per cent to central London’s rail capacity. The introduction of the Elizabeth line supports the draft Mayor's Transport Strategy, which aims to create a fairer, greener, healthier and more prosperous city by improving public transport and reducing reliance on car journeys. May 2019: Direct services will operate from Paddington to Shenfield and Paddington to Abbey Wood. Services from Paddington to Heathrow will continue to start and terminate in the main line station. 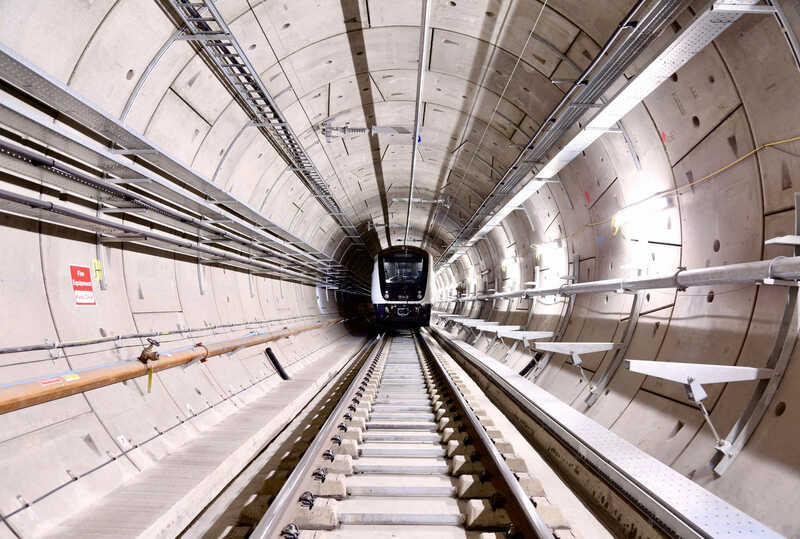 December 2019: The Elizabeth line will fully open, with services running from Reading and Heathrow in the west through the central tunnels to Shenfield and Abbey Wood in the east.